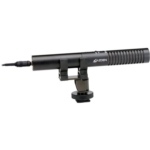 Thinking about Buying a Camcorder Microphone? Buying an External Microphone for your Video Camera, which ones and their differences. If you are serious about your video(S), you shouldn’t rely on the built in camcorder microphone. Instead, you should use an external mic for your video camera, which will pick up sounds more clearly and accurately. Check your camera manufacturer and see what kind of plug or jack is used -most are 1.8mm until you get to the bigger cameras which sometimes use XLR plugs. Which are slowly being phased out, as even studios are not using that big clumsy plug much anymore for a mic jack. However picking out an external microphone for your video camera can be a bit overwhelming; the choices go from 5 dollars to hundreds, and it can sometimes be difficult to make a decision. These tips are designed to help you pick out an external camcorder microphone. External Microphone Connections as mentioned first off. A camcorder microphone purchase is usually predicated on the type of Jack or connection built into your video camera. Yes, there are adapters too. Consumer camcorders often have a 1.8mm or 1/8th ‘slang’ jack for attaching an external microphone, while older higher-end camcorders will use an XLR jack for connecting a mic. Teh XLR jack made it nice for using in the studio, this way Microphones were mixing board universal. Before you start to shop or compare an external microphone, be sure to check what kind of input your camcorder has, and pick out a microphone that will fit the jack. If you are stuck on a certain brand and model; for whatever reason you can also visit your local electronics store and buy a camcorder microphone adapter, which will allow you to connect most any external microphone to the input jack on your camcorder. Uni-directional is a certain direction mic usually picks up about 90 degrees of the area that the microphone is pointed at. Omni-directional is all around, meaning it picks up 360 degrees usually, unless specially designed for say 280 degree etc. Look over the specs before purchasing a microphone for your application; most are there in writing. There are three main types of camcorder microphones to choose from: shotgun, lapel (or lavaliere which is also headset mountable) and hand-held (like a newscaster). Each type of external microphone is suited to a different type of video production, and ideally you’ll be able to purchase one of each kind. A Shotgun microphone can be mounted on your camcorder via a connection called a ‘shoe or hot-shoe’ or can be attached to a boom pole. I have even seen Velcro used to hold a microphone on. The microphone will pick up all the sound coming from the general direction in which it is pointed. Shotgun camcorder microphones are great for shooting scenes with multi-subjects, with ambient background noise or tracks. Like a reality show that uses the scene to pick up the soundtrack. This is an Omni-directional microphone, although a ‘Shotgun microphone can come in Uni-directional too. Hand-held microphone s are classic for interviews, or that ‘newsy’ look. Still it is a Uni directional microphone, whereas you must speak into it’s field of range to get a good signal and does not pick up too much ambient sounds. Sturdy and adds to the shot for a ‘prop’ sorta as well. Still popular today for interviews and commentaries. Most types of camcorder microphone s are available in wired and wireless versions. Wired camcorder microphone s, connect directly into the jack of your camera. Wireless microphones, on the other hand, come with a receiver and a transmitter. The Microphone is connected to a sending unit, then the receiver is connected to your camcorder. Most run on 9-volt and are plenty strong enough to work well within your lens range without having to worry about wire(s) in your shot or the liability of someone tripping or damaging your microphone cable or jack. The price difference is nominal the big decision is, do you want to use batteries or have back up’s in the bag? Me? I use wireless microphone. Now that you have decided which style you want. It is now time to figure out about name brand microphone – knock-offs or middle of the road guys and what you are actually going to hear with that 600 dollar hand made Japanese Microphone. My point is; “A couple of hundred and you will have a wonderful microphone in your arsenal with out spending for the top of the line.” Look for the dynamic range specs when comparing. Most of us do not hear past a certain range anyways. Meaning, because a microphone can pick-up a humming bird wing flap, after it gets mixed down? Can you, or will you? Especially after you add your music or background track to your video. YouTube has demos of guys showing you the quality of their new purchased microphone s. Cnet is classic for a consumer report type tally for your review. Ask someone at a shop or a forum which microphone they use and why? Me, I use a wireless set I have a hand-held and lavaliere to cover most of my stuff. I suppose I am going to need a boom and Shotgun for my Horror movie debut film I am working on. The Azden WMS-PRO Wireless Microphone System is my set-up for shooting professional grade website videos or commercials for peoples websites.F.Y.I about 150.00 bucks there abouts. By investing in a quality external microphone now, not only will your videos come out better you will use it for as long as you are making videos. Whether you’re shooting in Digital and have not made the High Definition plunge or using it for voice overs on the internet, be it skype or a video game or the likes of, a good camcorder microphone will always be welcomed in your technological arsenal. Best Regards as always to post a comment please include the the words “Best Microphone to use” in your comment to be considered a real ‘organic’ comment and not a spam-bot for a back link. Cool… Looking for a Camcorder Microphone? – Buying an External Mic for your Video Camera | Net Commercial I’m truly digging this template:theme for the blog. Your article Looking for a Camcorder Microphone? – Buying an External Mic for your Video Camera | Net Commercial was in my RSS news feed. Well done on the article. Enjoyed the article, great site for learing some cool tips on shooting with a hand held video camera. OP-So you agree with video for websites. I am busy with other business websites creating commercials for their site. So taking time to shoot and edit for free information is a little out of the question at this time. I just put the link of your blog on my Facebook Wall. very nice blog indeed.;`,*. Very well said, your blog says it all about that particular topic.:;.-. Thanks for sharing excellent informations. Your website is so cool. I am impressed by the details that you’ve on this web site. It reveals how nicely you understand this subject. Bookmarked this web page, will come back for extra articles. You, my pal, ROCK! I found just the info I already searched everywhere and just could not come across. What a great web-site. The way you write, you are really a professional blogger. Loved all the information regarding video for websites or how to make a commercial for my website. thanks for this exciting wireless microphone for camcorders facts I will post a link on my blog so my own readers can benefit from it too. This will be a really big resourcefulness that you are furnishing and you turn over it away for free. I savor seeing websites that be aware of the value of rendering a prime resource for free. I truly enjoyed reading your Wiley Post. Thanks! Thanks for the links and research about wireless microphone for camcorders, saved my a few days of learning. I cannot believe my eyes. This site is loaded with details. I can’t wait to use these details. Good day! A bit off the topic of wireless microphones… Do you know if they make any plugins to help with SEO? I’m trying to get my blog to rank for some targeted keywords but I’m not seeing very good results. If you know of any please share. Appreciate it! ?Do you know if they make any plugins to help with SEO? i totally hear you people I am going to use it. this topic is very well researched and i admire the author for discussing it thoroughly. thanks for the link on a great wireless microphone for camcorders, inexpensively. Nice post! Your blog layout is very nice also. Keep up the good work! so competent, referencing different microphones and which one to buy,..it can be easily referenced in my head. Hey very cool website!! Man .. Beautiful .. Amazing .. I’ll bookmark your website and take the feeds also…I am happy to find numerous useful information here in the post, we need develop more techniques in this regard, thanks for sharing. . . . . . Thanks for the excellent content. 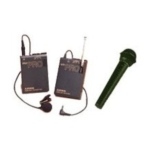 Good deal(s) on wireless microphones. Wish to see even more shortly.